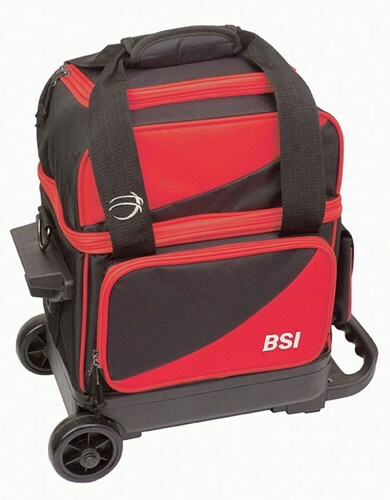 This bag will help you get around comfortably with the smooth rolling wheels and retractable handle. The padded ball compartment will keep your ball safe with all your accessories and shoes for a great game of bowling! Unfortunately, it does not have a locking handle. Due to the time it takes to produce the BSI Prestige 1 Ball Roller Black/Red ball it will ship in immediately. We cannot ship this ball outside the United States.